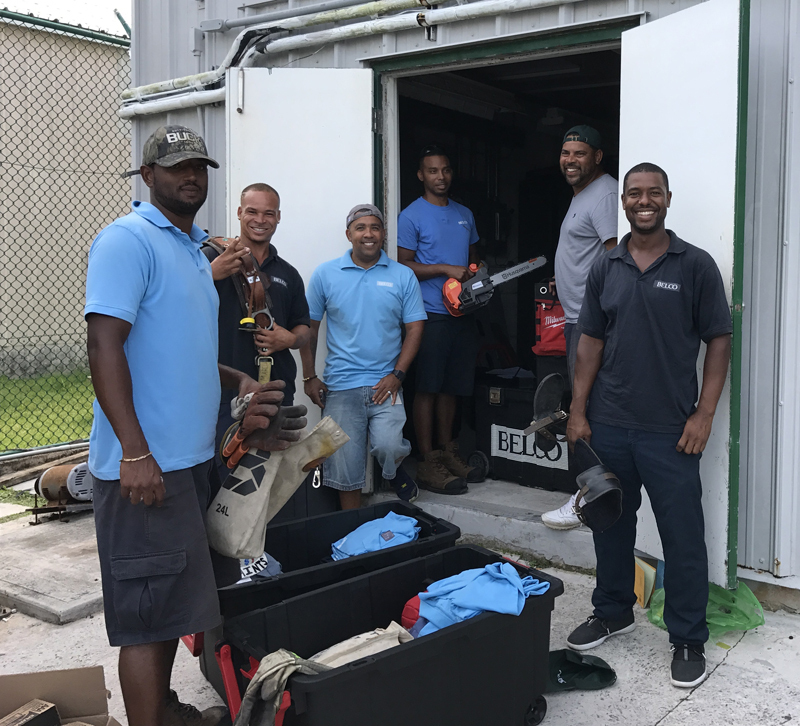 Following the devastating impact of Hurricane Irma on islands in the Caribbean, the local community has donated over $31,000 to the Bermuda Red Cross to assist the hurricane relief efforts. 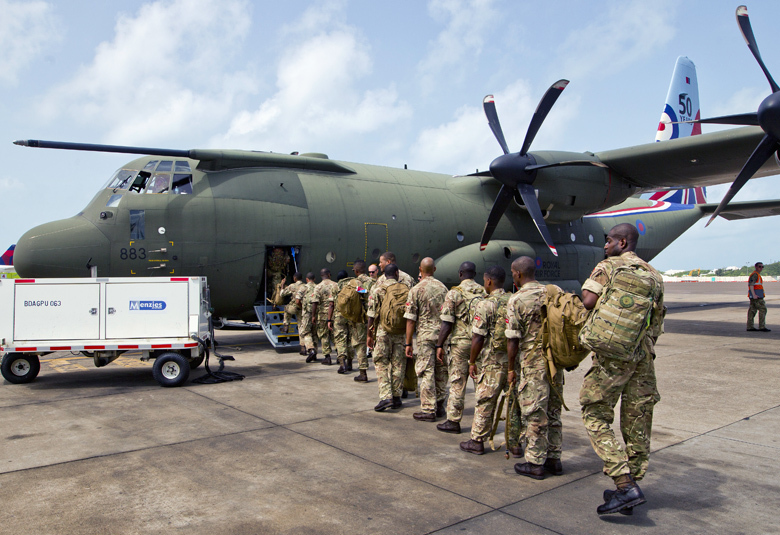 In addition to the financial donations, Bermuda is also sending six BELCO linemen to the BVI, has sent a contingent of 30 soldiers and six police officers to the Caribbean, and BHB’s Director of Emergency and Hyperbaric Services Dr Roslyn Bascombe-Adams is in the BVI assisting the hurricane relief efforts. The Bermuda Red Cross said, “We are pleased to announce that the funds received from Bermuda residents to date are just over $31,000. “This weekend A.S. Coopers is encouraging clients to make a donation at the A.S .Coopers, Astwood Dickinson & Vineyard Vines stores which will be matched by the company unto $5,000. “Additional accounts that are open through which people can donate. PTIX have set up a fund page on Red Cross’s page to allow for donations. They will not be adding any additional charges to Red Cross through this method. “The Bermuda Red Cross account at Clarien Bank is now able to receive donations: Bermuda Red Cross, Savings A/C 40 10 03 5760. “Next Friday, 22 September there will be a Happy Hour for a Cause hosted by Gosling’s and held at the Gosling’s Wine Cellar from 6 pm – 9 pm. There will be a variety of spirits, wines, craft beers, and champagne with canapés on offer. Great donations Bermuda! Question for Bda Red Cross… will all money being donated now go to Hurricane Irma needs or into general Bda Red Cross funds? What percentage of the money is direct to supplies, funds needed to rebuild those islands affected? With so many impacted , which island(s) will receive assistance from Bda Red Cross and will any go to USA? I hear Haiti got a small % than what was raised. You’re thinking of Wyclef Jean’s “charity” which collapsed after “mishandling” $16 million in donations. Instead of spending the money in Haiti funds were spent on family and friends. Stick that money in a Bank trust a/c or investment corporation and pay out the interest. badly in this storm. Red Cross are well known for using donated funds for themselves. High wages, paying high fees and other expenses unrelated to worldwide Red Cross causes. The payroll is very high. I am not sure where people get their information, but whenever money is raised in Bermuda for a natural disaster all of the money less banking fees is sent to the affected country via Birtish Red Cross, who also do not take any fees put of the money raised. Money raised for Hurricane Irma will go to Anguilla, Barbuda, British Virgin Islands and Turks and Caicos Islands Red Crosses. None will be given to US Islands as they have not asked for international assistance. In the first instance during the recovery phase the money will be used by Red Cross on each Island to help those in the shelters-food, water and hygiene kits. Should we continue to receive funds then the Islands are quite possibly in the rebuild phase so funds will support people with purchasing materials to rebuild homes. If those who hide behind pen names want to call me at Red Cross I will gladly invite you to sit with me as I make those transfers on line so you know that we have integrity. I am not sure how people think an organization like ours runs, but we do have staff who do a great job for what they are paid. No one makes ‘the big bucks’. Why don’t you ask many of the other non profits about their salary line? So sad that when an organization such as the Red Cross works so hard to help others both locally and internationally that we are criticized. I think that the reports online of issues with the American Red Cross is what’s raised some concerns. It’s not always common knowledge that the American Red Cross is a separate entity from the Bermuda Red Cross or its governing association. I wonder how much Preserve Marriage has donated?